In 1983 Terry and Ruth Wilkinson bought concession 22 of the Yukon, and established Ceaser Lake Outfitters. The company is named after a lake in the concession where they have their summer lodge. This lodge is where they spent their early summers with their two kids Joel and Chelsea while they were developing the company. Through hard work, and dedication they earned a great reputation for running high success, quality hunts in the remote Yukon. Currently Terry still guides for Ceaser Lakes, and Ruth is still one of the first people you see when you come to town. She makes sure that no one leaves hungry, and that each camp gets a homemade pie. 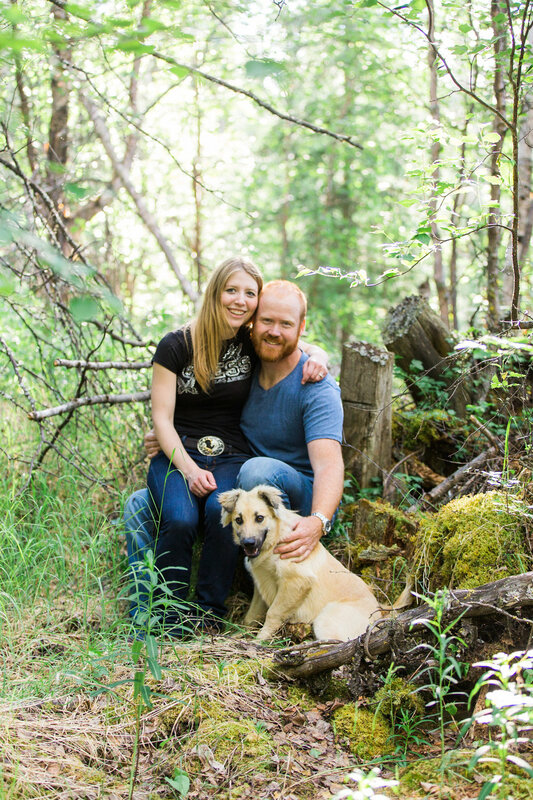 As of 2013 Ruth and Terry passed the concession on to their son Joel Wilkinson who is now currently outfitting the area with his wife Courtney. Joel grew up in the concession, and started working in the outfit at the young age of 10 first as a wrangler, and then later when he was 18 as a guide. Joel has guided all over the Yukon, Alberta, and New Zealand, but his favorite place to be is in the hills of the Yukon hunting Yukon animals. Courtney is an Alberta girl that grew up riding horses and beekeeping on the prairies. Despite missing the big Alberta skies, she loves the remote Yukon, and everything it has to offer. Ceaser Lake Outfitters has become one of the most sought after locations for Alaskan/Yukon Moose. 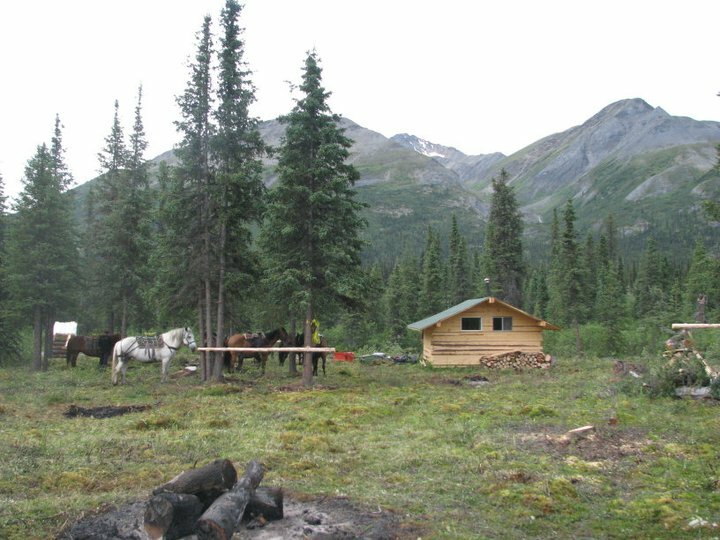 All moose camps during the rut have cabins that keep our clients and guides warm and dry throughout the season. Our cabins allow pretty much anyone to be able to successfully harvest a trophy bull moose. We are Concession 22 located in the southeast corner of the Yukon. The Concession is aproximatley 14,000 square miles or 8.9 million acres of pure wilderness with no people living in it year round. There is less than 40 miles of an old mining road. Our area gives our hunters everything they need for a true wilderness experience. Ceaser Lake Outfitters has the following species- Alaska/Yukon Moose, Mountain Caribou, Mountain Goat, Mountain Grizzly, Dall Sheep, Fannin Sheep, Black Bear, Wolf and Wolverine. We offer many different hunts. Horses are used for all species and mostly used in August and September. We use many types of boats but most commonly use flat bottom Jon boats with jet outboards. Hovercrafts are used occasionally as well. Argos are used in a couple locations that are wet and not suitable for horses. Our guides are the best in the industry. Most have worked for us for years and we rarely need to take on a new guide. We have a great mixture of "Old Guides and Young energetic guides". Most of our guides trap within our concession as well, and all are very capable bush people.